It is an unwritten rule that you should remove all the makeup you had earlier on applied during the day. Failing to remove your makeup before sleeping could potentially cause some irreversible damage to your skin. 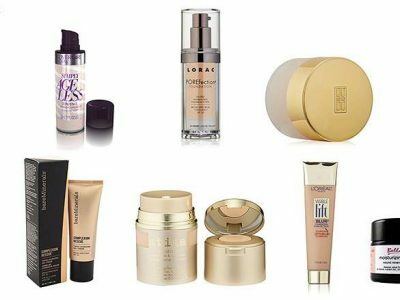 During the night when you sleep, the skin takes that time to repair itself. When you have makeup on then, it may clog the skin pores and not give the skin any breathing space. It may eventually lead to uneven skin tone, redness, acne, deeper wrinkles, and even skin dryness. Moreover, by not removing your makeup at night, you increase the skin’s exposure to free radicals that it may attract during the day that later causes the breakdown of collagen in the skin and finally faster aging. It is, therefore, crucial to always take off your makeup right before sleeping to protect your skin. 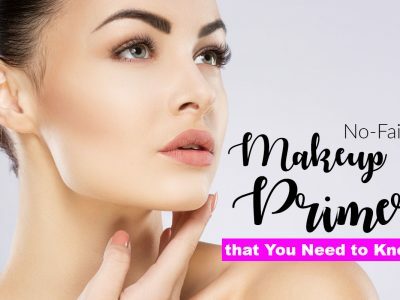 While it may seem very easy to use a damp cloth and any available piece of soap, how you remove your makeup and what you use matters a lot to your skin. Whenever you use a product that is harsh on the surface, your skin will become dry regardless of the moisturizer you apply. As well, if you remove a greasy cream by wiping it off, you may leave behind a thin film covering the skin preventing any other products from getting through. 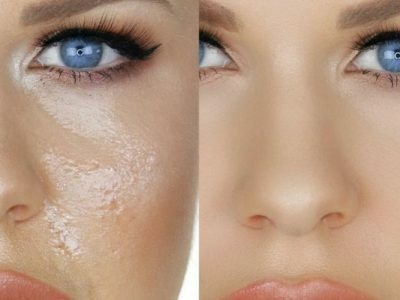 You should therefore have a proper makeup removal routine that works best with your skin type. 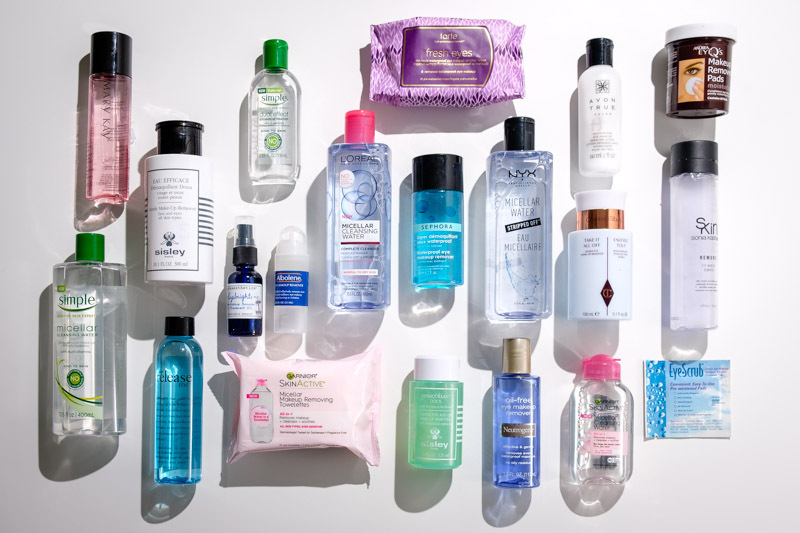 To help you live up to your skincare potential, here is a list of the best makeup removers in the market today. The Almay Eye Makeup Remover Pads are one of the products by Almay, one of the leading makeup remover brands in America. The remover pads are gentle on the skin and do not irritate. The pads come securely nestled into a jar with a flap cover on top. One jar contains 80 pieces of cotton pads all soaked with an oil-free makeup remover. The pads are circular, lightweight and thin. The pads quickly dissolve away eye makeup without tugging. It works even on the most stubborn and waterproof makeup. The pads are gentle and do not dry out the areas around the eyes. The pads do not leave behind a greasy feeling. They contain a formula made from a botanical blend of aloe, green tea, and cucumber. They are dermatologist tested and fragrance-free. 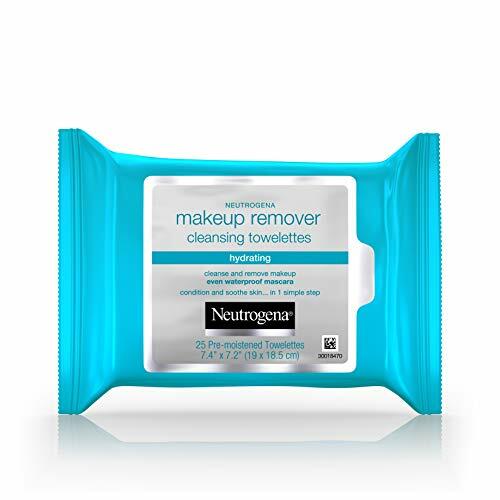 The Neutrogena Oil-Free Eye Makeup Remover is a product of Neutrogena, a brand well known for producing sensitive products and its intensive testing done by experts. 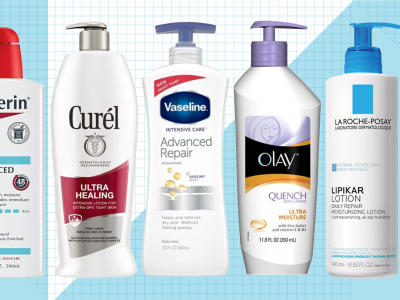 Dermatologists trust and recommend the brand. 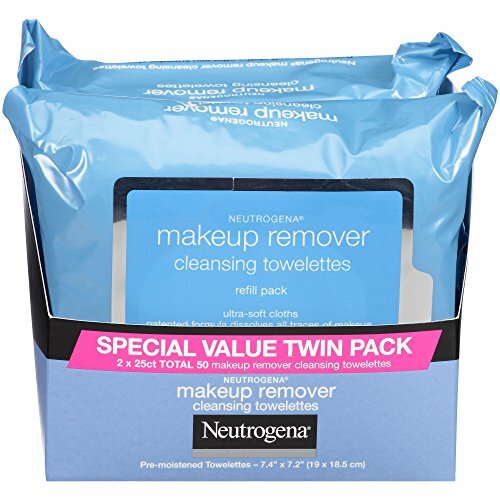 The Neutrogena Oil-Free Eye Makeup Remover was a leading performer in the GHRI test among 29 different waterproof eye makeup removers. The volunteers were happy with its affordability and ability to remove even the toughest mascara with little effort and leave the skin moisturized. The Oil-free formula gets rid of eye makeup and does not leave behind a greasy residue. It activates whenever shaken getting rid of even waterproof mascara. 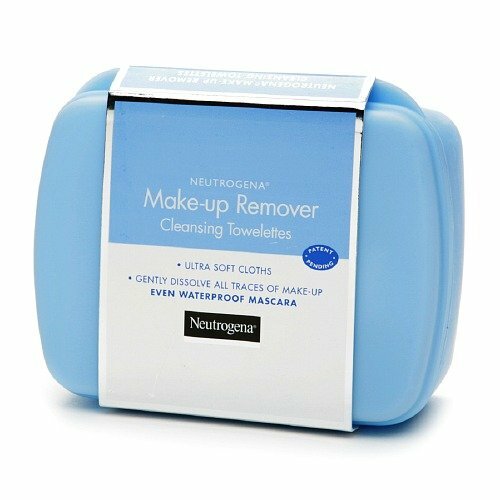 The makeup remover is recommended by an ophthalmologist and is safe for use on sensitive eyes and contact lens wearers. To attain useful results, remember to shake well before use and gently rinse with warm water after. Mary Kay Oil-Free Eye Makeup Remover,3.75 fl. oz. The Mary Kay Remover is an award-winning eye makeup remover having obtained the allure award of Best of Beauty in 2011. It gently removes eye makeup without tugging or pulling on the delicate skin in the eye area. The formula has gone through clinical tests and has approval for use on sensitive skin and sensitive eyes. You can as well use it if you wear contact lens. The formula does not leave a greasy feel on the eyes and leaves the skin feeling moisturized. 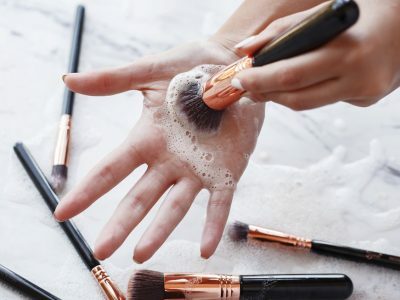 You do not require to scrub the makeup. You can soak a cotton pad in the remover, place it in the makeup region and wait for 5 seconds then wipe away the makeup. The Mary Kay Oil-Free Eye Makeup Remover can remove even waterproof mascara with little effort. The Simple Kind to Eyes Eye Makeup Remover Pads is a product by Simple a company from the United Kingdom, the first to create a skin cleansing product for sensitive skin without any dyes or perfumes. All the products use water that has gone through several purification processes to help in nourishing and hydrating the skin naturally. Ophthalmologists and dermatologists have done tests the Simple Kind to Eyes Eye Makeup Remover Pads. They help in removing even the most stubborn eye makeups while at the same time ensuring that the eyes, lashes and contact lenses do not suffer from irritation. The pads are gentle on the skin and do not contain any harsh chemicals, artificial perfumes or dyes. They come in a packaging that is convenient for travel. The pads do not contain any alcohol or oil; therefore they do not leave the skin feeling dry or greasy. One pack includes 30 pieces of pads that are simple to use without the need for scrubbing or soap. The Maybelline Expert Eyes Oil-Free Eye Makeup Remover is a gentle formula that gets rid of eyeliners, mascara, and eye shadow without leaving any greasy residue behind. The formula is right for use even on sensitive skin and sensitive eyes. It does not contain any oil and fragrance. You should use a cotton ball or tissue with the makeup remover for the best results. Lightly press the cotton ball on the region with the makeup for a few seconds and wipe off the residue. Follow it up with a rinse and wipe the area with a tissue. The Maybelline Expert Eyes Oil-Free Eye Makeup Remover is tested and approved for use by both an ophthalmologist and a dermatologist. It moisturizes the area around the eyes. The Bifesta Mandom Eye Makeup Remover is a Japan made eye makeup remover. The remover is made up of both an oil base and a water-base and contains ingredients you would typically find in skin lotions that easily attracts the oil ingredients in makeup. It includes Hyaluronic acid and vitamin B and E derivatives that can quickly get rid of oil-based makeup from the skin and leaving the area full of moisture. The formula envelops the oil-based makeup and removes it without the need for rubbing. It is gentle on the facial skin, eye area, and the lashes. The Bifesta Mandom Eye Makeup Remover does not contain any fragrance, preservative or colorant. Before using the product, it is best first to conduct a patch test to make sure you are not allergic, and it does not irritate your skin. The Beauty by Earth Makeup Remover comes with a combination of carefully selected natural ingredients that help to clear away any makeup, oil, sweat, dirt and skin buildup that is affecting your skin complexion. Such elements include witch hazel, aloe vera, and Japanese green tea leaf. The witch hazel provides the makeup remover with antioxidant properties that contains the skin a cooling and soothing feeling. Green tea on the other has reenergizing properties that keep the skin alert, bright and awake. The formula does not leave the skin with a greasy or oily feeling. It comes with a sweet orange refreshing scent from organic essential oils. The remover is not irritating and is gentle on the eye area. It is made in the United States and not tested on any animals. The Lancome Paris Bi-Facil Double-Action Eye Makeup Remover is an award-winning remover with two phases meant to aid in complete removal of eye makeup leaving the area perfectly clean. The formula is gentle on the skin but potent enough to remove waterproof makeup without using aggressive strokes or pulling. It has an oil phase that attracts and lifts off the makeup from the surface and a water phase that is made up of special emollients meant to refresh and condition the area. 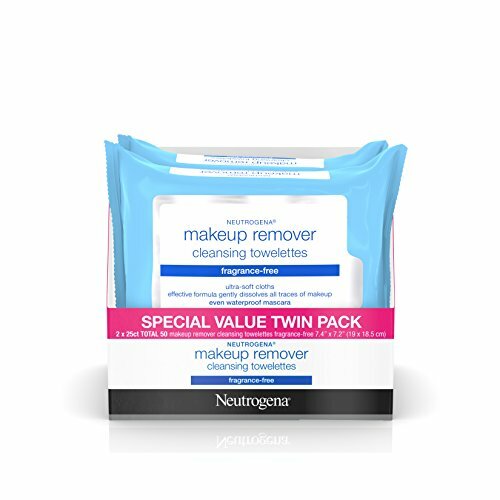 The makeup remover leaves the region feeling crisp and fresh with softer lashes. It does not leave a greasy residue. Ophthalmologists have performed tests on the formula and found it safe for use on sensitive skin and by wearers of contact lenses. It comes with a fresh rosy scent. It is essential to shake it first before using. The Aveeno Ultra-Calming Cleansing Oil-Free Makeup Removing Wipes is a product by the Aveeno Brand, accompany that has been in the beauty industry since 1945. It makes use of natural ingredients to transform the skin and hair by enhancing their health and beauty. The wipes come in a pack containing 25 pieces that are oil-free and remove makeup, dirt, oil, and mascara from the skin. It is specially made to cleanse and soothe sensitive skin leaving it well balanced by helping to calm redness and irritation on the surface. It makes use of soothing calming feverfew extract an ingredient that has long been used for its medicinal properties and its anti-irritant properties. It helps in improving the appearance of sensitive skin and calm irritated skin. An ophthalmologist and a dermatologist have done tests on the makeup remover. It does not clog the skin pores and does not contain any oil. The Aesthetica Makeup Removing Wipes work by erasing all the traces of makeup, oil, and dirt from the face. The wipes contain a formula made with calming ingredients such as aloe, cucumber, and chamomile. The wipes quickly remove dirt and impurities from the skin while also gently soothing and conditioning the skin. It is tested and approved for daily use on the face, lips and delicate areas by ophthalmologists and dermatologists. It can as well be used on any skin type. The Aesthetica Makeup Removing Wipes can remove waterproof eye makeup and wearers of contact lenses can use it too. It is does not cause any allergies and does not have any scent. The wipes lubricate and soften your skin protecting your skin from drying or having a tight feeling. It comes in a travel-friendly pack that safeguards it from leaks or spills. The Simple with Vitamin E Oil to Moisturize Skin Exfoliating Facial Wipes are products from the company called Simple that has been in business since 1960 and makes products for sensitive skin without any perfumes or dyes. The simple exfoliating wipes help to get rid of the dead cells from the skin surface and prevent the pores from clogging. They make use of ingredients that have an added benefit to the skin such as Vitamin B, B5, E, and Aloe Vera. The wipes do not contain any harsh chemicals, artificial perfumes or dyes that may irritate the skin. It features two sides with one for exfoliating and removing dead skin, dirt, and oils and the second side for cleansing the skin to leave it feeling soft, smooth and refreshed. The wipes are designed to be gentle on the surface with the ability to use even on sensitive skin. They are conveniently packed to allow ease in traveling; hence you can use them from anywhere. The Cetaphil Gentle Makeup Removing Wipes are products of the Cetaphil Brand that has been in the beauty industry since 1947 and currently has five research and development centers globally committed to providing innovative skincare solutions. The wipes are designed to be ultra-soft however with the ability to get rid of stubborn makeup gently. The wipes contain a formula made of natural soothing and cleansing ingredients such as chamomile, aloe vera and green tea that leave the skin smooth and refreshed. It comes in a package that is convenient for using while on the go. The package has a re-sealable flexible plastic closure that protects the wipes by keeping them moist. The Cetaphil Gentle Makeup Removing Wipes are clinically proven to get rid of all kinds of makeup be they waterproof or long-wear. They are hypoallergenic, non-comedogenic and non-irritating. The Burt’s Bees Sensitive Facial Cleansing Towelettes cleans and moisturizes your skin removing any makeup easily and quickly without the need to rinse with water. The towelettes get rid of oil, dirt, and makeup gently from the surface. The wipes are 99.1 percent natural with ingredients including cotton extract, rice extract, and aloe which provide the skin with moisturizing and soothing properties. The wipes are dermatologist and ophthalmologist tested. They do not have any fragrance, are hypoallergenic and do not cause any allergies. The National Eczema Association gave the wipes a seal of acceptance allowing the use on sensitive skin. 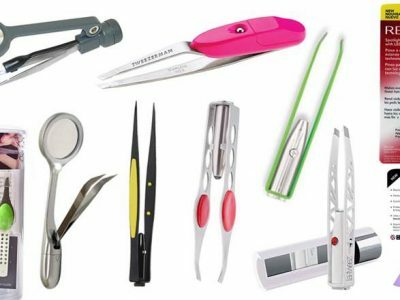 They come in a package that is convenient to travel with and has a re-sealable closure. The Garnier SkinActive Micellar Foaming Face Wash is a powerful yet gentle forming gel that captures and lifts away makeup, dirt, and oil from the skin without the need for harsh rubbing. It makes use of tiny particles from micellar water called micelles that work like a magnet collecting all the makeup from the skin without leaving any residue. The face wash does not contain any oils, fragrance, alcohol, parabens or sulfates. It is gentle on the surface and leaves the skin feeling fresh and looking healthy. You can use the formula on all the skin types including sensitive skin without clogging the pores. It is gentle to use on the face, lips, and areas around the eyes. The La Roche-Posay Toleriane Purifying Foaming Cream Cleanser is a formula developed by dermatologists for use on oily skins to remove impurities and makeup from the surface gently. The cleanser has a soothing and creamy texture. It contains glycerin that helps to keep the skin from over-drying. It also has La Roche-Posay thermal spring water that is an antioxidant that aids in soothing the skin. The company makes the cleanser under strict guidelines that considers its use on sensitive skin. It hence does not have any fragrance or parabens. It is dermatologist tested and does not cause any allergies. You can use the cleanser on any region of the face apart from the eye area. The Era Organics Facial Cleansing Oil & Makeup Remover helps in giving you a softer, smoother and supple skin. It is made up of natural and organic ingredients that help in getting rid of waterproof mascara, eye makeup, and foundation. The cleansing oil is soft on the skin but tough on the makeup. It contains ingredients that help to nourish, repair and rejuvenate the skin on each wash giving the skin surface a healthy and glowing complexion. The Ingredients also help in restoring the skin’s natural barrier, reduce fine lines and wrinkles, provide the skin with vitamins and minerals and to restore deep hydration to the surface. 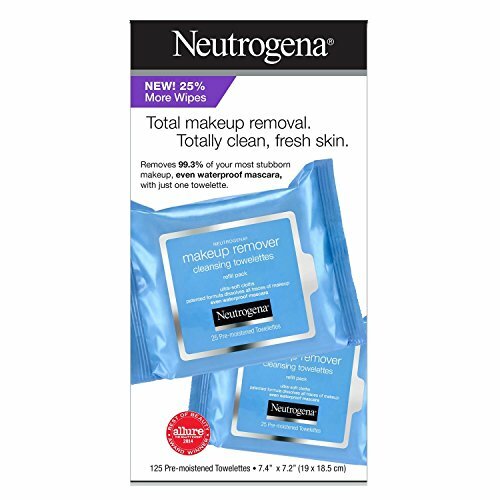 The Neutrogena Fresh Foaming Face Cleanser is a dermatologist proven formula that deeply and effectively cleans the skin pores removing oil, dirt, and makeup from the face. It can also remove eye makeup without the need for soap or oils rinsing the skin entirely from dirt and makeup without leaving any greasy residue. The cleanser does not contain any solvent, oil and does not clog the skin pores. It is Hypoallergenic and leaves the skin feeling fresh and healthy. DHC Deep Cleansing Oil, 6.7 fl. oz. The DHC Deep Cleansing Oil is a Japanese facial cleanser that works by dissolving makeup from the face without leaving any residue behind. It is rich in vitamins that help in the breakdown of waterproof mascara and eyeliners and emulsifying then to cleansing milk easy to rinse. You can use the DHC Deep Cleansing Oil on all the type of skins. It is made up of eight simple ingredients that include olive fruit oil that is rich in antioxidants that help in maintaining the moisture barrier of the skin. It is also made up of rosemary leaf oil that helps in toning the skin and Vitamin E that prevents the signs of premature aging. The cleanser does not contain added fragrance, phthalates, parabens, colorants, and mineral oil. The Bioderma Sensibio H2O Micellar Water is a cleanser made in France specifically for use on sensitive and reactive skin. It helps to cleanse the skin impurities as well as get rid of makeup on the face and areas around the eyes in one step promoting healthy skin. The Sensibio H2O has high efficacy and tolerance on the skin surface making it a go-to product for makeup artists. It maintains the pH of the skin and prevents the irritation of the skin and areas around the eyes. 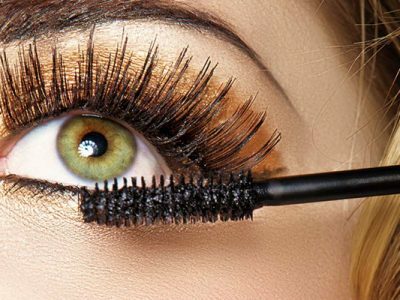 The formula can remove waterproof mascara and stubborn eyeliners. It does not contain any fragrance and leaves the skin feeling refreshed and hydrated. It comes in a clear bottle package with a flip top cap for easy use. Getting rid of makeup may not be a fun experience when you compare it to wearing makeup. However, it is part of a good skincare routine that you should not ignore. Removing makeup before sleeping may be the difference between achieving amazing skin goals and getting a breakout of either acne or blackheads. Therefore, that calls for making a sound investment in your makeup remover. 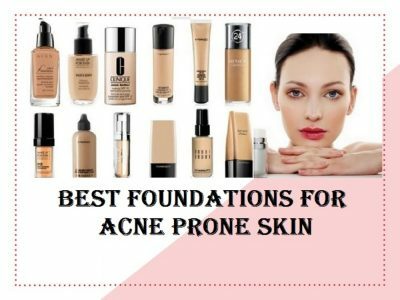 You can find one that can work with your skin type from the list above. Additionally, you should also consider getting a night cream that can assist the skin in its regenerating process.